Appelhanz Roofing and Guttering, a strong local Topeka business, is family owned and operated. Since 1979 we have continued to provide Topeka with the most trusted service in roofing. 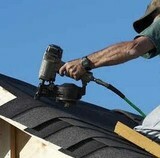 For your protection as Topeka roofing contractors we are licensed and fully insured . Welcome to Pete's Painting, your number one source for all your painting needs! 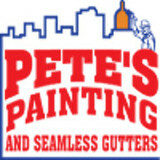 Pete's Painting has been around for over 25 years as a locally owned and operated business. Providing quality, attention to detail work at a reasonable price. As professional painters, one of the unique things that sets us apart from other painting companies is the attention and respect that we show to a client and their home. Pete's Painting understands how important it is to our clients to maintain a clean and safe work environment. Roof situations always come up. But don't worry!! Topeka Best Roofing has got you covered! 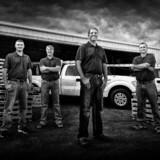 We are here to serve the people of Topeka area in all their roofing needs. We cover a wide variety of services ranging from roof replacement to simple roof repairs for both commercial and residential roofs. We take great pride in making sure our customers receive top quality services and the best customer service in Topeka, Kansas. We specialize in roof repairs, new roof, roof replacements, and gutter installation. 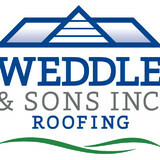 We are your go-to roofing company. Give us a call today at (785) 246-5202. What do roofing companies in Louisville, KS do? Your Louisville, KS roofing contractor can install a new roof or repair an old one, as well as repair and replace gutters. Good roofers in Louisville, KS should be able to promptly inspect roofs and gutters to assess damage after a natural disaster or other event, and give you an estimate for the necessary roof repair immediately. Some Louisville roofing companies specialize in specific types of roofs, such as tile or metal, so make sure the one you are interested in works with the materials you have or desire. Find a Louisville roofer on Houzz. Narrow your search in the Professionals section of the website to roofing companies in Louisville, KS. If you’re planning a large-scale project, find other professionals on Houzz who can help get the job done. Here are some related professionals and vendors to complement the work of roofing & gutters: General Contractors, Specialty Contractors, Siding & Exteriors, Door Sales & Installation, Garage Door Sales & Installation.